TV-Nihon, one of the premier tokusatsu fansubbing group, have just released Kyouryu Sentai Zyuranger subbed! Just in time to spend your Christmas Day. Kyouryu Sentai Zyuranger tells the story of five young warriors from an ancient civilization of Dinosaur-evolved Humans who are awakened during the present day after 170 million years of suspended animation when their sworn enemy, Bandora the Witch, is inadvertently released from her magical container on Planet Nemesis by two astronauts. 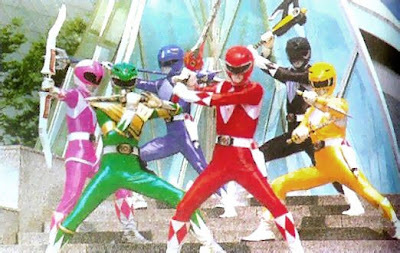 Download Kyouryu Sentai Zyuranger only at TV-Nihon!